Like many people, I have been making hummus for years, and I never put too much thought into the ingredients: chickpeas, olive oil, lemon juice, tahini, salt, garlic, etc. Hummus, like pizza, is hard to screw up. But also like pizza, there is good and then there is gooooood. I first discovered hummus in 1989 while in school outside of London. We had a large Middle Eastern population, so hummus was frequently part of our cafeteria’s offerings. It was love at first taste for me! Years ago, I started serving this every Friday night with homemade bread. Then I gained 20 pounds and tried to lay off the bread a bit. My husband and I would open a nice bottle of wine, sit in the living room, and exhale after a long week. I like my hummus with a bit of a kick. I have tweaked this recipe over the years, and not to brag, but I am kind of famous for my hummus. 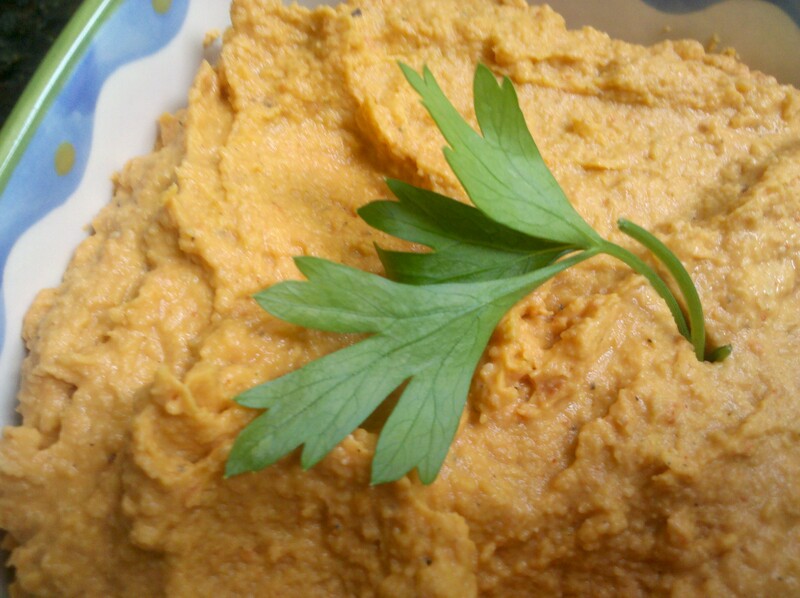 It is not difficult, but the devil is in the details, and that’s what makes this hummus great. Serve with bread, pita chips, or fresh vegetables if you want to be virtuous. This entry was posted in Appetizers and tagged appetizers, hummus, spicy by Mom Mom's Apron. Bookmark the permalink. Dawn, what a great idea! I love that Mom Mom is still a part of your cooking life. I’ve not yet tried to make hummus myself, but now I’m inspired. Curious, why iodized salt and not sea salt? Sea salt is all I have! Hi Gretchyn! I wish I had a proper scientific answer for you. This recipe is modified from a Cooks Illustrated recipe from years ago. I do remember that they were very adamant about using iodized salt, and I can only conclude it was due to extensive testing. The comments I receive the most about this recipe is how the texture is just perfect. I don’t think sea salt will make it or break it, but I would use less sea salt (maybe just 1/2 teaspoon) since it is a stronger salt. Glad to see you in the blogosphere! My hummus has a little cumin in it, and probably too much garlic for most people. I’m really excited to see the recipes you write about here! You are a terrific writer, so it should be a great blog. 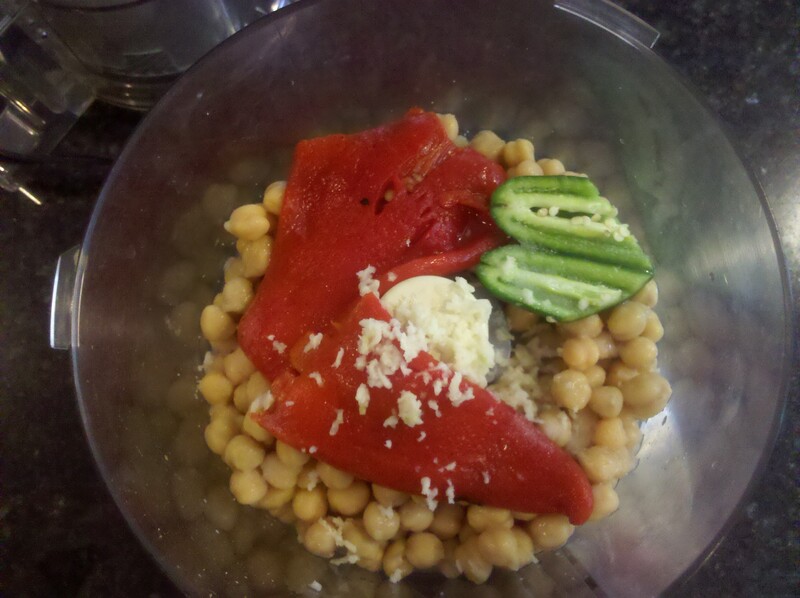 If I liked red peppers, your hummus would look great, Dawn! Oddly, I add 3 Tbs milk to my hummus because it was on the recipe I found years ago in an Usborne cook book, of all places. It helped the texture a lot and has made me “famous” in my parts for my hummus, but I’m sure not as famous as you! Dawn I’ve had your hummus many times and always devour it! What a great idea to start a food blog! What about your olive tapenade? I’ve always loved that too.